It’s that time of year again! Photo shoot time! I am ‘up North’ once more for a bit of a holiday, so yesterday I went to Preston to do another shoot for Glitter Punch with the multi-talented Matt Slade. As you may have noticed by now, we’ve been gearing up for the promotion our new material. Yesterday was not only a photo shoot, but a music video shoot. Matt is currently working on a juicy teaser clip with a new song. I am as excited as you are. Below are the two teaser posters from the shoot. 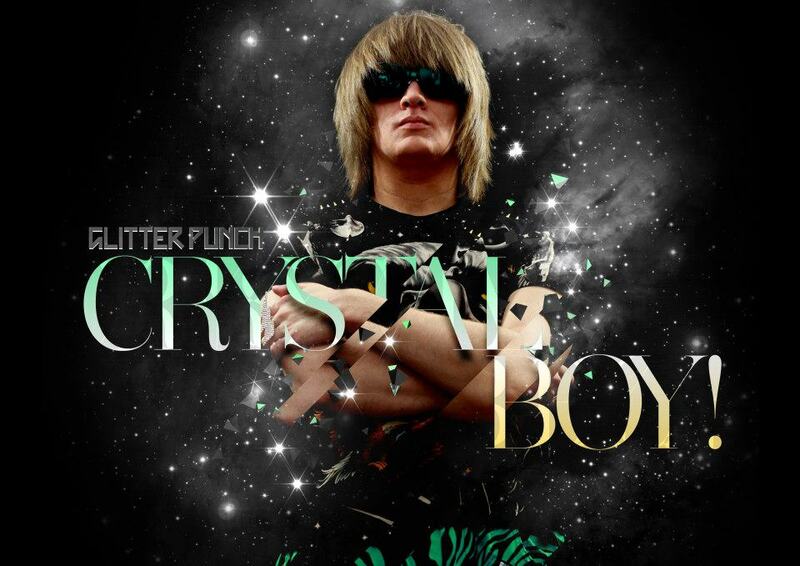 They introduce us officially as our shiny alter egos: Crystal Boy! 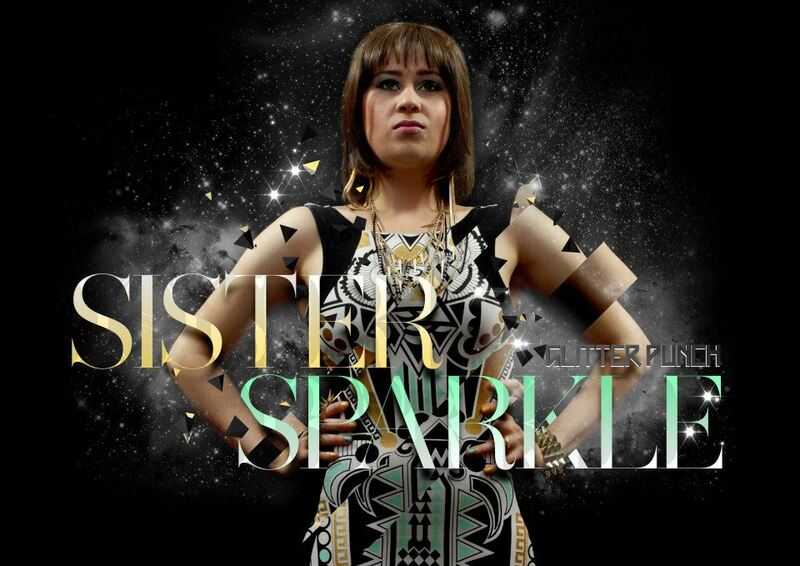 and Sister Sparkle. Matt has done a simply wonderful job of these, and so quickly! Mild-mannered Matt Slade as Crystal Boy! This time the shoot went a lot more smoothly. I managed not to get trapped in a never-ending make-up loop like last time… And Matt had set us up a bit differently with a fancy black backdrop for ease of editing. However, I was utterly exhausted because I had only finished moving house the day before and had travelled to Fleetwood that evening. This is why I have a bit of an angry, flustered look in the photo. To remedy this, Matt stuck on some tunes and we had a little dance. That right there is ma dancin’ mouth. All in all, I’m happy with how it all went. We have most certainly built upon last year’s work. However, I still feel like there’s something missing on my part… I’m trying to bring my inside self to the outside, but there is a snagging feeling. I know the kind of person I want to be, but it’s tricky expressing it without treading on other people’s toes (with big sparkly heels). I tried hard this time, but I guess I’ll just have to keep trying. Oh, by the way, be sure to get your entries to the Remix & Cover Competition in by Saturday, 1st September! We’ve had two entries in so far and they are amazing, so you better not hold back, ya hear? Anyway, I have to get back to pestering Matt for this teaser… Please enjoy our new work!